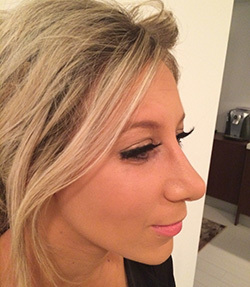 Esqido Mink Lashes: Lushest Must! Cleavage aside, I’m much more inclined to try and entice with a sly, inviting wink, and love doing so with extra bold lashes. The conundrum for me has always been that I’m pretty awful at putting on strip lashes, even worse at attempting to apply individual lashes, and don’t enjoy the all day, every day over-the-top lash extensions that look a little drag queen to me at 9 am. 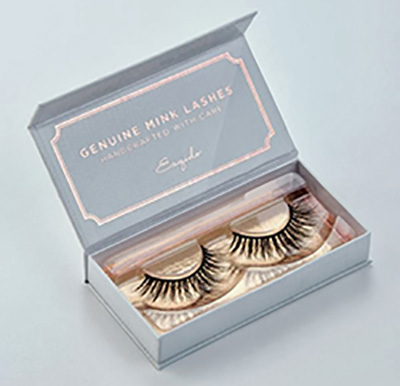 Fortunately, Esqido Mink Lashes has solved the dilemma and taken the best of both to combine one killer set of falsies. The super easy to apply strip lashes are natural-looking, soft, and all-around all star awesome; they’re made from real mink fur, much like lash extensions, but take fur that has naturally been shaded from the animal (and then sterilized to become hypoallergenic, of course) to maintain an environmentally and PETA-safe product. Achieving the same glossy, gorgeous lashes that extensions give you are even better with Esquido as they come in nine varying levels of boldness; the subtlest boost in the collection, The Little Black Lash, looks lush yet natural, while the boldest pair, suitably called the Amp It Up set, look all-out glamourous. Because they’re strip lashes, you can swap out pairs like you do underwear, choosing what feels best when. I recently tried the BFF pair, and their name instantly synced with their status. RIght in the very middle of the range from most natural to most bold, this pair felt right for a fun night out while still allowing enough room for a pink lip, too. The best part? They’re good for up to 25 uses when cared for properly, so I can wink at my beloved fiancé all over the town every time he takes me out!